A Pakistani victim of the Christchurch attack who apparently tried to tackle the gunman before being shot dead will be awarded posthumously in his home country for his courage, Prime Minister Imran Khan said Sunday. 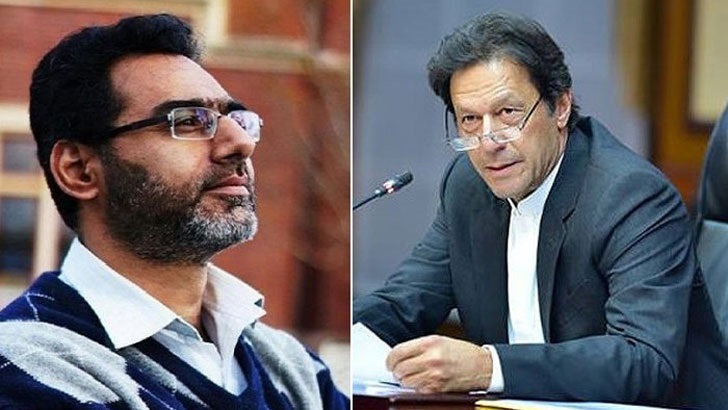 "Pakistan is proud of Mian Naeem Rashid who was martyred trying to tackle the White Supremacist terrorist & his courage will be recognised with a national award," Khan tweeted on Sunday. Rashid's elder brother Khurshid Alam told AFP in the northwestern Pakistani city of Abbottabad that the award "means a lot" to his family. "I feel very proud," he said, calling the loss of his brother and nephew a "big, big shock". "We had a lovely time. He was a man who would be like a kid with children, and like an adult with grown-ups," Alam said. Pakistan's foreign minister Shah Mehmood Qureshi said the award would be given on March 23, Pakistan Day. One "is still not out of danger but he is being treated", he told reporters in Islamabad without identifying the victim. "Whatever the families will decide, we will respect it and fulfil their wishes," he said, adding that flags will be flown at half-mast in Pakistan on Monday in honour of the victims. Officials in Pakistan's picturesque northern areas also confirmed that the main suspect, 28-year-old white supremacist Brenton Tarrant, had visited the region as a tourist in October, staying for more than a week. Syed Israr Hussain, owner of Osho Thang Hotel in Minapin Nagar, told AFP: "(Tarrant) ... stayed for two days before leaving for Khunjerab (Pass, on the border with China). "He was a decent and quiet guy." He said he remembered Tarrant among the many tourists who visit the region "because he was so impressed by the area, and said he had heard so many negative things about Pakistan but he found it the opposite". Tarrant's alleged involvement in the massacre left him "surprised and shocked", he said.